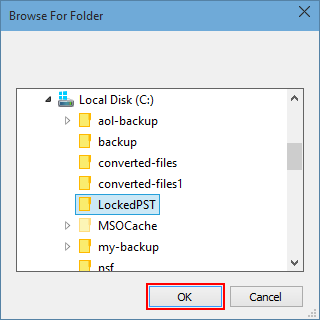 Recover lost password from PST file of Microsoft Outlook. 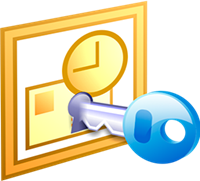 PST Password Recovery Tool which works completely to recover the lost or forgotten Microsoft Outlook passwords. It is easy and quick to recover lost Outlook PST passwords. The tool supports removal of passwords from both ANSI and UNICODE PST files. It is the best solution that a user can deploy to remove passwords from PST files. Intently recover of password of any length and complication. Demo will show you the status as a lock icon, if PST file is password protected. 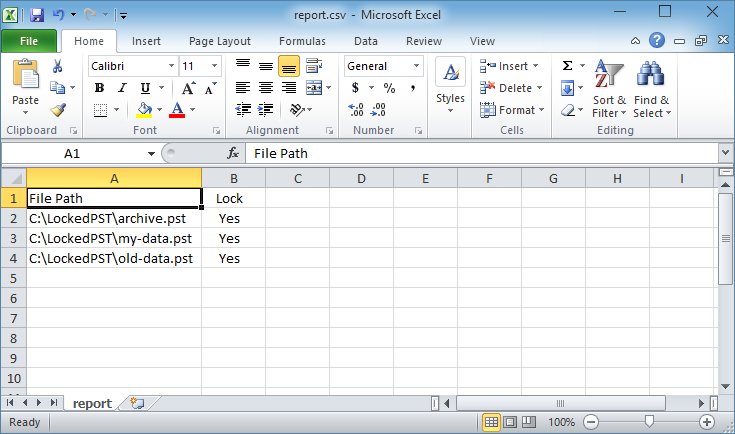 Suppose you get hold of some old PST files in your office and you need to extract the data from them. The task is very easy unless the files are password protected. There are strong chances that you will not have the passwords of the old PST files that were created before. You set a very difficult password to your PST file and after sometime you yourself do not remember the password. There exists no manual method, by which you can perform PST password recovery. Therefore, in such a case the only solution left is to deploy third party tools like Recover Lost PST Password. The software is embedded with advance algorithms that enables users to remove PST file passwords, no matter how complex or multilingual they are. It supports removal of passwords from multiple PST files at the same instant. Recover Lost PST Password however, with all the advantages that come with PST file passwords, there also arise some concern issues. This can happen in cases when you forget the password of your PST file. There exists no manual method by which, the PST file can be removed or changed, unless and until you are aware of your old password. What more, you will not be able to access the PST file if you do not know its password. Can I remove password from Outlook 2002 PST file? 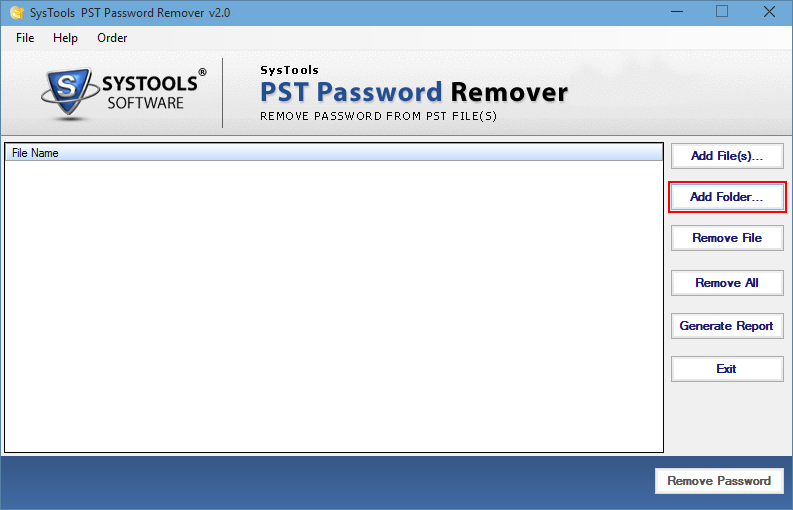 Yes, the PST password remover supports all Windows Outlook versions. The software requires Outlook installation? No need of Outlook installation. Can I recover Multilingual, and lengthy PST password? Yes, you can easily remove Multilingual and length password.